Welcome to Scott Robinson Chrysler Dodge Jeep Ram, a family-owned and -operated car dealership that South Bay drivers know they can put their trust in. We’re a part of the Scott Robinson Auto Group, which has proudly served the Los Angeles Area for more than 50 years. This means that over the course of the past five decades, we’ve had the opportunity to work with many of our friends and neighbors from Los Angeles, Redondo Beach, and other surrounding communities. During this time, not only have we gained the respect of our clients, but we’ve worked hard to ensure each customer’s car-buying or -servicing experience is tailored to their unique needs. 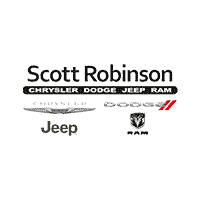 We like to go above and beyond at Scott Robinson Chrysler Dodge Jeep Ram, offering many perks to those who choose us. Just take a look at the Scott Robinson Advantage. Here, you’ll see that we offer a lifetime limited powertrain warranty on every new vehicle at no extra charge, which means you get extra peace of mind when purchasing a new Chrysler, Dodge, Jeep or Ram at our dealership. We also maintain an expansive selection of certified pre-owned vehicles to provide you with as many choices as possible when you’re selecting which car, truck, SUV or van is the right one for your lifestyle. Certified pre-owned vehicles from the Chrysler group include extensive warranties, roadside assistance plans and more, and each one undergoes a rigorous 125-point inspection before we’ll even put it on our lot. Plus, as our gift to you, you get your first oil change for free when you buy from Scott Robinson Chrysler Dodge Jeep Ram. Whether you’re visiting our Jeep dealership near Hawthorne, CA, in search of a new or pre-owned vehicle, we’re happy to work with you to ensure you’re driving home with the perfect ride. In turn, we’re also a service center you can rely upon at all costs. Our expert service techs can maintain and repair your Chrysler, Dodge, Jeep or Ram in a timely and professional manner, each and every time you visit. Conveniently located at 20900 Hawthorne Blvd in Torrance, CA, Scott Robinson Chrysler Dodge Jeep Ram is just a quick drive away for those in Long Beach, Palos Verdes, Carson and beyond. Come visit us today, and let us help you find a great deal!